Give me a decent bottle of poison and I’ll construct the perfect crime. 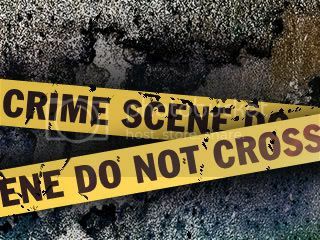 While researching the first book in my DS Jack Mackinnon crime series, DEADLY MOTIVE, I spoke to a number of police officers and one told me that poisoning cases were rare, and there were many simpler methods of murder I could use for my book. I could have written about guns, or knives or even used a pick axe as a murder weapon in Deadly Motive. It certainly would have made my research easier. But never one to shy away from a challenge, I decided on poison. During my research, I found many cases and thought I would share some of the more notorious ones with you. Dr Henry George Lamson had an excellent career until money troubles made him desperate. In dire need of money, he decided to kill his wife’s brother in order to gain the inheritance. His poison of choice was aconite. He put it into a cake and also gave his brother-in-law a capsule containing the poison. The doctor foolishly kept the rest of the capsules in his medical bag and when they were tested they were found to contain aconite. The doctor was hanged at Wandsworth prison. Aconite is known as the ‘Queen of poisons.’ It is a highly toxic alkaloid found in some species of plant. Ingesting this poison leads to a tingling sensation in the mouth and lips. Bouts of sweating and shivering is often followed by vomiting. Finally the neurotoxin causes cardiac arrest and death. The Russian monk, Rasputin, is perhaps the most famous case of a failed poisoning. In 1916, many people believed Rasputin had too much influence over the tsarina. A group of Russian noble men gave him cakes and red wine laced with cyanide, but this was not enough to kill Rasputin. Worried that the poison wasn’t working, the poisoners shot him and threw him into the river. When Rasputin’s body was discovered, it was reported the monk had died from drowning. Graham Young was fascinated with poisons from a young age and used his family as guinea pigs. In 1962 his first victim was his stepmother. His aunt, suspicious of his interest in poisons, contacted the police. Young confessed to the murder of his stepmother and he was sent to Broadmoor. Young was freed nine years later, and a sudden outbreak of illness occurred at the premises of Young’s new employers. As his employers were not aware of his past crimes, no one suspected that poison was involved. More and more people at Young’s work place fell ill. Two of his colleagues died, before it was discovered Young was adding thallium to their tea. He was arrested and police found thallium and aconite in Young’s flat, together with a journal that had notes about which of his colleagues were marked out to die. He was nicknamed ‘the teacup poisoner’ by the British press and sentenced to life imprisonment. Thallium highly toxic metal, which used to be used as a rat poison. It damages the peripheral nervous system, causing severe pain. Nobody knows the exact number of Shipman’s victims. Some say he killed two hundred, others put the estimate at over five hundred. Either way, Dr Harold Shipman was Britain’s most prolific serial killer and his murder weapon of choice was morphine. Shipman was first investigated when the daughter of a local undertaker reported her concerns over the number of deaths in Shipman’s patients. As Shipman’s records matched, he escaped justice at first, but not for long. When he attempted to forge the will of one of his patients, Katherine Grundy, the patient’s daughter, a solicitor, reported him and post-mortem investigations revealed a fatal quantity of morphine in Kathleen Grundy’s body. Harold Shipman was imprisoned for fifteen life sentences and took his own life in 2004. Georgi Markov was a journalist and Bulgarian dissident. He survived two assassination attempts by agents of the Bulgarian secret police, but on the 7 September, 1978, a man jabbed Markov in the leg with an umbrella. He was admitted to hospital and died three days later. A tiny metal pellet was recovered from Markov’s leg. The metal pellet contained traces of the deadly toxin ricin. Yushchenko announced that he would run as an independent candidate for the 2004 presidential election in the Ukraine. Shortly afterwards, he became seriously ill and claimed his illness was the work of government agents. When he appeared in public, his face was pockmarked, and disfigured. Austrian doctors confirmed Yushchenko had been poisoned with dioxin. While no one had admitted to the poisoning, Yushchenko has suggested his poisoning was linked to a dinner he had with a group of senior Ukrainian officials, including the head of the Security Service of Ukraine. 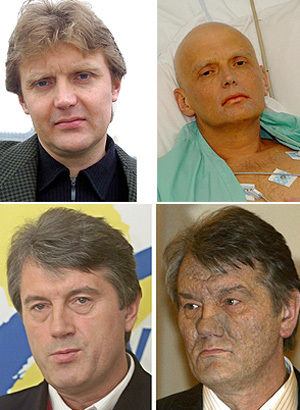 Alexander Litvinenko was a former spy for the KGB and FSB who fled to Britain in 2000. The ex-spy died in a London hospital after being exposed to a radioactive poison, thought to be polonium 210. Pictures of Litvinenko on the brink of death were displayed on news channels around the world. Experts from the Health Protection Agency believe that Litvinenko would have to have eaten, inhaled or taken it in through a wound. The case remains open. Just two years ago, Lakhvir Singh was convicted at the Old Bailey for poisoning her ex-lover, Lakhvinder Cheema, and his new partner. She was sentenced to twenty-three years in jail. The judge said her actions were “cold and calculating.” Lakhvir Singh obtained the poison, aconite, during a trip to India and added it to a curry, which her ex-lover and his new girlfriend ate for dinner. Cheema later died in hospital. Cheema’s new girlfriend also ate some of the poisoned curry but she survived after treatment. Police found traces of the poison in Singh’s handbag and coat pocket. As the recent case of the poisoned curry shows, murder by poison does still occur, but advances in science and careful detective work mean that most of the time the poisoner is brought to justice. All substances are poisons. There is none, which is not. The right dose differentiates a poison and a remedy. This entry was posted in British detective, Crime fiction, DS Jack Mackinnon series, Murder mystery, Poison, Writing and tagged Amazon, Crime fiction, ebook, Kindle, Mackinnon, medicine, Murder mystery, police. Bookmark the permalink. Deadly obsession – out now! Deadly Obsession – Coming soon!